Since the Greek tragedy, theatre has never ceased to be a formidable tool to educate and train yesterday’s citizens, but also today’s and tomorrow’s employees. In recent years, dramatic art has had a certain interest by companies, and for good reason – it offers a response to employees in their quest for development and well-being while letting employers manage participatory management. Explorations. What a long road has been travelled since the first play put on in a company at the end of the 1970s in Canada. Yes, some playwrights were criticized by their peers for compromising themselves to play elsewhere than in theatres, as if they were losing their status as an artist as well as their talent. So it’s not by chance that, in the 2002 edition, the terms “corporate theatre” and “institutional theatre” still did not appear in the Dictionary of Theatre by Patrice Pavis. However, this has not prevented employers from resorting to dramatic art on many occasions. So don’t be surprised if your annual seminar is interrupted by a troupe of comedians coming in to bring a bit of humour and lightness into the Big Boss’s speech, or if your next stress management training session is led by playwrights who will act out your role as accountant and that of Sophie, your administrative assistant. What better way is there to dramatize a complex situation, to pass on a message to employees or to deal with a delicate subject! 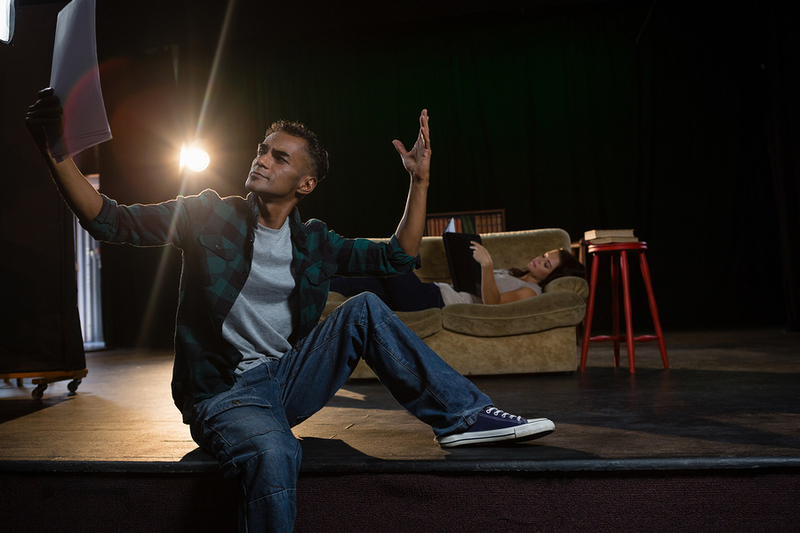 In certain cases, theatrical experience goes much further – it’s you who are on stage! By simply learning your script and reciting it before your colleagues, your whole being will be put to the test: voice, tone, rhythm, mimicry, gestures, olfactory and tactile stimuli, your look, posture, breathing, silences, movements… not to mention the stage to be overcome, charisma to be developed, emotions to be managed. It is in short a real challenge to be able to work both with your body and with your heart and mind, thereby boosting your self-esteem and confidence. And, if you are even more daring, there is room for improvisation! This is ideal for working on your listening, your spontaneity or even the well-known letting go. You will then be well prepared to lead dynamic and rhythmic presentations, no longer needing to have your nose stuck to your notes, or having interviews where the unknown no longer frightens you. Without going up on the boards, you can also opt for coaching based on theatrical techniques, in order to improve your public speaking or your management style, for example.